In today’s world, we live in digital age, which makes everything easily accessible right at our fingertips—including jobs. Now, there are many remote employment opportunities for people from all walks of life. But, finding a legitimate work at home position is the biggest challenge. You need a job that offers the flexibility to work from any location, including your home sofa, while also providing a stable income. Now, you can benefit from ample opportunities with work from home jobs by completing an online medical coding program. Becoming a medical coder will give you an in-demand career that offers the ability to work in-office or remotely. Medical coders are in high-demand with the demand expected to increase by over 21 percent by 2020 according to the US. Bureau of Labor Statistics. Currently, there is an estimated 20 to 30 percent shortage of medical coders, with that number expected to rise to 50 percent. The need for quality coders has opened many doors for those who are certified, including work from home positions. Medical coders are critical to ensuring healthcare professionals are paid by an insurance company. The role of a medical coder is to process patient data in order to relate it to insurance information. Based on the patient’s treatment and diagnosis, a payment is requested from the patient’s insurance company. With the handling of personal patient information, many have the misconception that medical coding is not a suitable work from home position. However, work from home medical coders are in high demand. To protect patient information and to remain HIPAA compliant, many remote medical coders are required to use a secure internet connection. However, each employer will have their own requirements for HIPAA privacy and security. As long as you have high-speed internet or a Wi-Fi connection, you can enjoy the benefits of a stable and rewarding career as a medical coder. By working from home, you will have a position that is widely available while offering financial stability. The median salary for a certified medical coder can range from $30,000 to $60,000 depending on where the position is located, the employing facility, and the coder’s experience. In addition, you will have flexible schedules to work where and when you want without having to worry about traveling, fuel, or car maintenance costs. There’s no need to go buy professional clothes because you can even work in your pajamas. Simply work around your personal and family schedule to enjoy a stress-free career change. While there are many benefits from working at home as a medical coder, it is not right for everyone. You must be self-disciplined to remain productive and detail oriented. In addition, you must be able to work independently and manage your time well. If you are ready to benefit from a rewarding career from the comfort of your own home, it is time to begin your medical coding education with Coding Clarified. We offer an online medical coding program to put you on the fast-track to success in just 16 weeks. Our AAPC curriculum will teach you ICD-10 coding to allow you to join this high-demand profession. 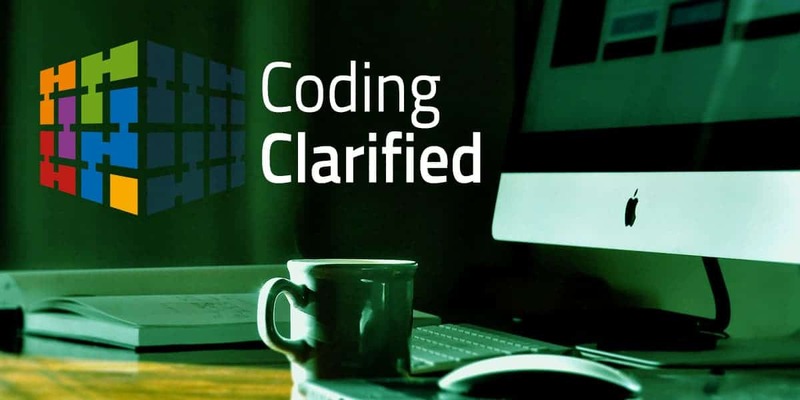 Contact Coding Clarified today to begin your career as a medical coder.